Psychological manipulation can be defined as the exercise of undue influence through mental distortion and emotional exploitation, with the intention to seize power, control, benefits and/or privileges at the victim’s expense. Below is a list of fourteen “tricks” manipulative people often use to coerce others into a position of disadvantage, excerpted from by book (click on link): “How to Successfully Handle Manipulative People (link is external)”. This is not meant to be an exhaustive list, but rather a compilation of subtle as well as strident examples of coercion. Not everyone who acts in the following manners may be deliberately trying to manipulate you. Some people simply have very poor habits. Regardless, it’s important to recognize these behaviors in situations where your rights, interests and safety are at stake. A manipulative individual may insist on you meeting and interacting in a physical space where he or she can exercise more dominance and control. This can be the manipulator’s office, home, car, or other spaces where he feels ownership and familiarity (and where you lack them). Many sales people do this when they prospect you. By asking you general and probing questions, they establish a baseline about your thinking and behavior, from which they can then evaluate your strengths and weaknesses. This type of questioning with hidden agenda can also occur at the workplace or in personal relationships. Examples: Lying. Excuse making. Two faced. Blaming the victim for causing their own victimization. Deformation of the truth. Strategic disclosure or withholding of key information. Exaggeration. Understatement. One-sided bias of issue. Some individuals enjoy “intellectual bullying” by presuming to be the expert and most knowledgeable in certain areas. They take advantage of you by imposing alleged facts, statistics, and other data you may know little about. This can happen in sales and financial situations, in professional discussions and negotiations, as well as in social and relational arguments. By presuming expert power over you, the manipulator hopes to push through her or his agenda more convincingly. Some people use this technique for no other reason than to feel a sense of intellectual superiority. Certain people use bureaucracy – paperwork, procedures, laws and by-laws, committees, and other roadblocks to maintain their position and power, while making your life more difficult. This technique can also be used to delay fact finding and truth seeking, hide flaws and weaknesses, and evade scrutiny. Some individuals raise their voice during discussions as a form of aggressive manipulation. The assumption may be that if they project their voice loudly enough, or display negative emotions, you’ll submit to their coercion and give them what they want. The aggressive voice is frequently combined with strong body language such as standing or excited gestures to increase impact. Some people use negative surprises to put you off balance and gain a psychological advantage. This can range from low balling in a negotiation situation, to a sudden profession that she or he will not be able to come through and deliver in some way. Typically, the unexpected negative information comes without warning, so you have little time to prepare and counter their move. The manipulator may ask for additional concessions from you in order to continue working with you. This is a common sales and negotiation tactic, where the manipulator puts pressure on you to make a decision before you’re ready. By applying tension and control onto you, it is hoped that you will “crack” and give in to the aggressor’s demands. Some manipulators like to make critical remarks, often disguised as humor or sarcasm, to make you seem inferior and less secure. Examples can include any variety of comments ranging from your appearance, to your older model smart phone, to your background and credentials, to the fact that you walked in two minutes late and out of breath. By making you look bad, and getting you to feel bad, the aggressor hopes to impose psychological superiority over you. Distinct from the previous behavior where negative humor is used as a cover, here the manipulator outright picks on you. By constantly marginalizing, ridiculing, and dismissing you, she or he keeps you off-balance and maintains her superiority. The aggressor deliberately fosters the impression that there’s always something wrong with you, and that no matter how hard you try, you are inadequate and will never be good enough. Significantly, the manipulator focuses on the negative without providing genuine and constructive solutions, or offering meaningful ways to help. By deliberately not responding to your reasonable calls, text messages, emails, or other inquiries, the manipulator presumes power by making you wait, and intends to place doubt and uncertainty in your mind. The silent treatment is a head game where silence is used as a form of leverage. This is the classic “playing dumb” tactic. By pretending she or he doesn’t understand what you want, or what you want her to do, the manipulator/passive-aggressive makes you take on what is her responsibility, and gets you to break a sweat. Some children use this tactic in order to delay, stall, and manipulate adults into doing for them what they don’t want to do. Some grown-ups use this tactic as well when they have something to hide, or obligation they wish to avoid. Examples: Unreasonable blaming. Targeting recipient’s soft spot. Holding another responsible for the manipulator’s happiness and success, or unhappiness and failures. By targeting the recipient’s emotional weaknesses and vulnerability, the manipulator coerces the recipient into ceding unreasonable requests and demands. Examples: Exaggerated or imagined personal issues. Exaggerated or imagined health issues. Dependency. Co-dependency. Deliberate frailty to elicit sympathy and favor. Playing weak, powerless, or martyr. 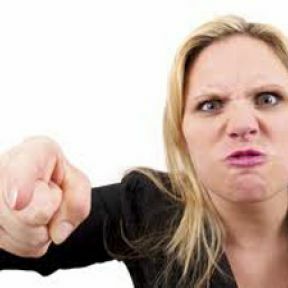 The purpose of manipulative victimhood is often to exploit the recipient’s good will, guilty conscience, sense of duty and obligation, or protective and nurturing instinct, in order to extract unreasonable benefits and concessions. Preston Ni is the author of (click on titles) "How to Communicate Effectively and Handle Difficult People (link is external)" and "Communication Success with Four Personality Types (link is external)". He is a professor, coach, trainer, and course designer in the areas of interpersonal effectiveness, professional communication, cross-cultural understanding, and organizational change. With twenty years of experience, Preston's dynamic presentations and powerful coaching have benefited thousands worldwide. He has worked with Fortune 500 stalwarts Microsoft, Hewlett Packard, Lockheed Martin, Intel, Visa, and eBay, as well as coached executives, managers, and private individuals to identify their catalyst for success. Preston received a Master of Science Degree in Business Administration, and is tenured faculty of the Communication Studies Department at Foothill College in Silicon Valley, California. He holds a certificate in the Management Development Program at Harvard University, and is an Alumnus Fellow of the Stanford University Human Rights Education Initiative. Preston's articles and commentaries appear on websites and in publications including The Oprah Magazine, Psychology Today, and Asian Week. He is the recipient of the Diversity Leadership Award in Teaching and Learning, and the inaugural recipient of the Silicon Valley Speak-Up Distinguished Speaker of the Year award. He is also keynote speaker on the DVD program "Cross-Cultural Communication: East and West", featured on the Business and Technology Network and the National Technological University Network. For more information on Preston Ni and his presentations, workshops, and private coaching, write to commsuccess@nipreston.com (link sends e-mail).